Phentermine (Adipex-P) is a prescription medication used to suppress appetite, and decrease certain food cravings. It can help weight loss by decreasing your hunger or making you feel full longer. * Phentermine may be recommended if you’re significantly overweight and it is one of the most commonly prescribed weight-loss medications. It was approved by the Food and Drug Administration in 1959 for Obesity treatment. Phentermine is a good way to jump-start your weight loss, and should be used as part of an overall weight-loss plan that includes healthy eating and regular exercise. You’re more likely to maintain your weight loss over time*, once you have completed the Phentermine plan which includes one on one nutritional counseling by Dr. Lolachi. Phentermine isn’t a good option if you have certain medical conditions, including heart disease, uncontrolled high blood pressure, an overactive thyroid gland, or glaucoma, or if you are pregnant, may become pregnant, or are breast-feeding. Phendimetrazine (Bontril) may be prescribed as an alternative. Phentermine should be taken exactly as prescribed. Do not take larger or smaller amounts or for longer than recommended. Follow the directions on your prescription label. 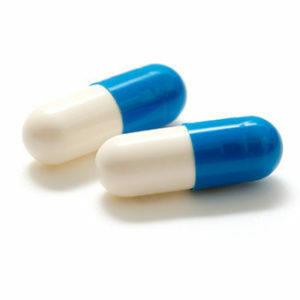 Phentermine is usually taken once daily, before breakfast. Get emergency medical help if you have any of these signs of an allergic reaction to Phentermine: hives; difficult breathing; swelling of your face, lips, tongue, or throat. Do not take Phentermine, if you have taken any MAO inhibitors (include isocarboxazid, linezolid, phenelzine, rasagiline, selegiline, and tranylcypromine) in the past 14 days. Antidepressants, such as, citalopram (Celexa), fluoxetine (Prozac, Sarafem, Symbyax), paroxetine (Paxil), sertraline (Zoloft), and others.